Thanks for looking around and getting to know us! We are a tight-knit best-friends video production, cinematography and creative media team based in Leesburg, VA, and serving the entire Washington DC, Virginia, Maryland area. We’re also fully prepared to travel anywhere in the country and beyond for the on-location for shoots you need. We specialize in creative storytelling through video production for corporate, commercial / promotional / advertisements, weddings, events, or anything in between. 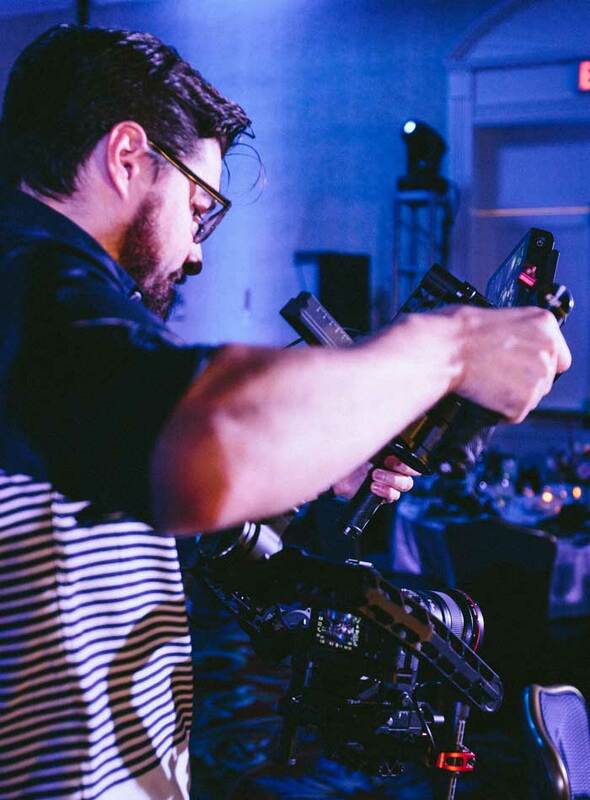 Whether you want a training film for internal distribution, or a TV Commercial shot in stunning 4K Resolution to show the world; we have the equipment, talent, and vision to meet your every need. We officially opened our doors in 2013 after the founder and owner Billy “Skipper” Hughes had spent the previous 2 years working as an Audio Visual professional while shooting video on the side. For a couple years, it was a one-man operation, but as the team grew, our needs grew, and our quality increased because of it. Every team member started out exactly like Skipper, a hobbyist with a passion for the art. We all work so closely, and employ a positive attitude in everything we do. We believe this shines the brightest through our work. We believe in living positively, and using that to build relationships with our clients, which leads to a closer understanding of your vision for your projects. From start to finish, we offer a 100% “no B.S.” and transparent stance, leaving no surprises at any stage of the production. Our development team will take in and understand your vision, our creative team will roll cameras while you watch it unfold, the editors will piece it together, and our motion graphic artists will put the finishing touches on it… right before your eyes. We love what we do. We build dreams, conceptualize, and bring those visions you’ve always had for your company to reality. It’s not just video we create, it’s the emotion we drag out of the viewer, it’s an experience for both your and your audience. And all you have to do, is just press play. We are always excited to get started on our next creative and unique project! To get started, click below and drop us a line!